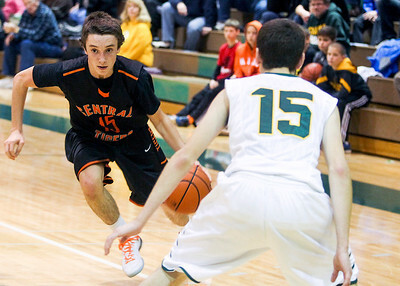 Sarah Nader- snader@shawmedia.com Crystal Lake Central's Derek Olson (left) dribbles past Crystal Lake South's Tyler Baker during the third quarter of Saturday's game in Crystal Lake December 7, 2013. 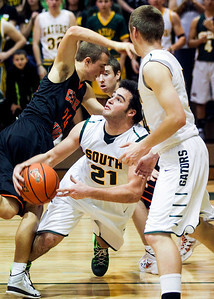 Sarah Nader- snader@shawmedia.com Crystal Lake South's Austin Rogers (left) is guarded by Crystal Lake Central's Ian Koch while he shoots during the first quarter of Saturday's game in Crystal Lake December 7, 2013. 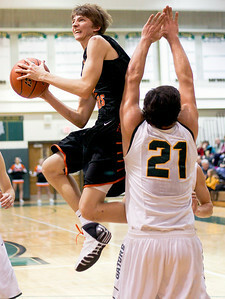 Sarah Nader- snader@shawmedia.com Crystal Lake Central's Jason Price shoots during the second quarter of Saturday's game against Crystal Lake South in Crystal Lake December 7, 2013. Sarah Nader- snader@shawmedia.com Crystal Lake South's Josh Friesem (left) fights for control of the ball with Crystal Lake Central's Kevin Peisker during the third quarter of Saturday's game in Crystal Lake December 7, 2013. 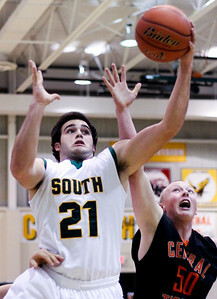 Sarah Nader- snader@shawmedia.com Crystal Lake South's Chris Mahoney (left) shoots over Crystal Lake Central's Jason Price during the third quarter of Saturday's game in Crystal Lake December 7, 2013. 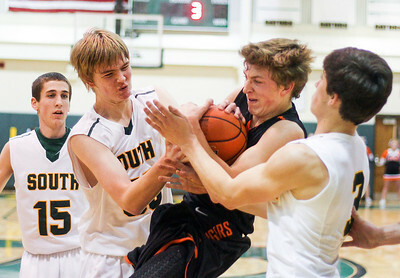 Sarah Nader- snader@shawmedia.com Crystal Lake South's Austin Rogers (center) is fouled on during the third quarter of Saturday's game against Crystal Lake Central in Crystal Lake December 7, 2013. 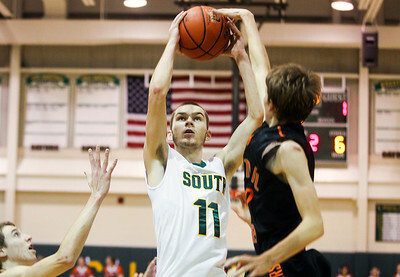 Crystal Lake South's Austin Rogers (center) is fouled on during the third quarter of Saturday's game against Crystal Lake Central in Crystal Lake December 7, 2013.